Paul Day (right) is the Wings' coach and general manager. 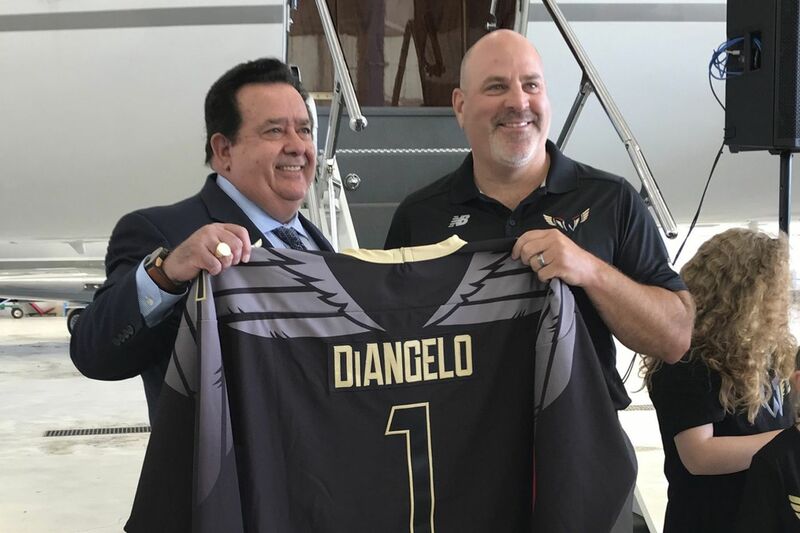 The Philadelphia Wings and San Diego Seals will participate in the National Lacrosse League's first expansion draft in a decade. "We're really happy we get to pick the best available pro player that's already in the league. That really helps us," said Wings general manager and coach Paul Day. The expansion draft, consisting of nine rounds between the Wings and Seals, takes place Monday at the Wells Fargo Center. Each of the nine existing teams can protect 11 of their 23 players. Each current team can lose up to two. "The rules are good. We're going to get some quality players out of the draft," Day said. "Obviously, there are a lot of players to choose from in the entry draft [for choosing college players, in September]. There's only four or five guys that are real good." Day said that drafting a consistent scorer is high on the team's priority list for the expansion draft. Scorers on the professional level are few and far between, he said. "We will pick some defensemen as well and some goaltenders but there's a need for depth for offensive guys," Day said. "If we can get four or five guys that have proven they can score and still have four or five years to play in the league, [that's what we want]." Day coaches professional players in Canada during the NLL offseason, where many NLL players compete. Watching these players since they've been teenagers has helped his coaching, he said. "You get to know the players personally so it helps building a team," said Coach Day. The Wings were one of the four founding NLL teams in 1987. The franchise moved from Philly to Connecticut in 2014. In September, Comcast Spectacor announced it was launching an expansion franchise in Philadelphia. "For us starting out, one of the main things is to develop a culture with our team," said Day. "We want high character people and we want people that want to compete every night."